A/B or split testing is basically a way of comparing two versions of the same page to see which one is better. The pages can be compared by showing two variants, A and B, to visitors at the same time. Whichever version manages to achieve better conversion rates is the one to keep. However, to ensure that your results are not affected by uneven or dissimilar sample sizes it is important to divide both versions of the page evenly amongst visitors. In e-commerce websites, A/B testing can be particularly effective. For example, e-commerce giants such as Amazon regularly A/B tests its websites to ensure maximum results through higher conversion rates. According to research, many e-commerce businesses are not aware of their conversion rates for when cross-sells or up-sells are displayed on product pages. It is important to test and track results to know what works for your website. Test variations of the same page – for example, try a version which does not show any related products with one which shows related products on the product page. This can lead to valuable information regarding customer behaviour and insight into what customers want from your e-commerce website. Along with testing up-selling and cross-sells, it is also useful to regularly test and adjust product images and models. Even a slight change in the positing of a particular product can actually help boost sales significantly. You can also A/B test different button shapes and button text to understand what attracts visitors into making a purchase. This can include changing your ‘buy now’ button to ‘add to cart’ button or changing the shape from oval to square, or the colour from red to yellow. To understand more about A/B testing and how it can help optimise your e-commerce website for more sales, you can read the complete ‘The Foundation of A/B Testing’ here. Drop down menus, especially on e-commerce websites tend to annoy users and decrease conversion rates. By replacing your drop down menu with a detailed category page, you can offer visitors a better browsing experience, which in turn can help convert them into actual customers. Many studies on eye-tracking have also demonstrated that users with disabilities or older demographics prefer product categories to be displayed on the page as opposed to drop down menus. A live chat option can prove to be crucial for your e-commerce website. Many studies based on the impact of live chat on customers have concluded that online consumers want live assistance during the process of making a purchase. For example, if a customer wants to buy product X, but is unsure whether it will, then a quick confirmation through the live chat option can actually help in making the sale. Whether you offer free shipping or not, the policy should be prominently displayed on all landing and product pages. While paid shipping can significantly affect your website conversion rates, we understand that you might have budgetary constraints that do not allow you to offer an option for free shipping. Hence, if you are charging for shipping then it is important to prominently display your policy. 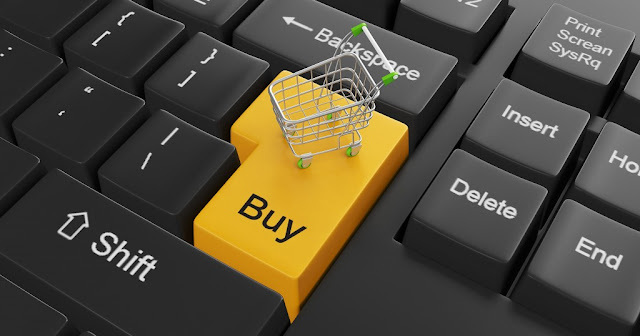 Many customers often leave their carts during the checkout process if they see that shipping is not free. It is important to be upfront with your customers – this can help build trust and significantly increase your conversion rates. This is one trend which has affected nearly all online businesses. Between ever increasing competition and people looking for bargains, it is important to offer your customers a way to get discounted prices while ensuring that they remain loyal to your brand. The option to add a discount or voucher code is usually provided by e-commerce websites during checkout. However, this can significantly affect sales as many customers decide to leave the page to search for coupons and never return. Hence, it is better to include a separate link for generating a discount coupon, which customers can access from your website only. This will ensure that customers do not leave your website to look for discount codes, reducing the number of visitors who abandon their carts. While this may sound like a simple technique, it is very useful in converting site traffic into sales. For example, by adding a simple widget such as TrustPilot on different steps of your funnel, you can increase sales by up to 50 percent. Take your ecommerce website to the next level and overpower your competitors with these above tips.